SCHURTER announces the introduction of the maXTouch controller family from Microchip (previous Atmel) in its portfolio. SCHURTER can now support the market with the well-known maXTouch chip family. Whether it is a high or low volume project, a standard or customer specific solution, with maXTouch we can meet very detailed specifications. Specialists are trained and available at SCHURTER to program the maXTouch chip to the best performance. 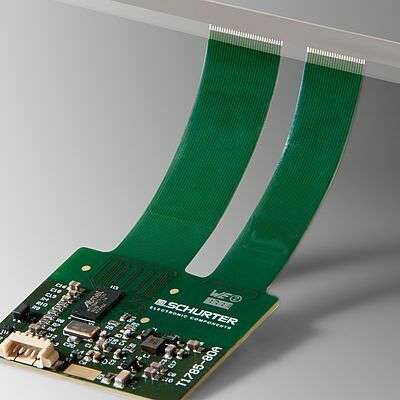 Having access to the maXTouch controller family allowed SCHURTER to develop a Chip on Flex solution. A technical development - designing the controller circuitry on the tail of the touch sensor - which has the same features as regular controller on a printed circuit board, but with cost effective and less hardware in a compact build.